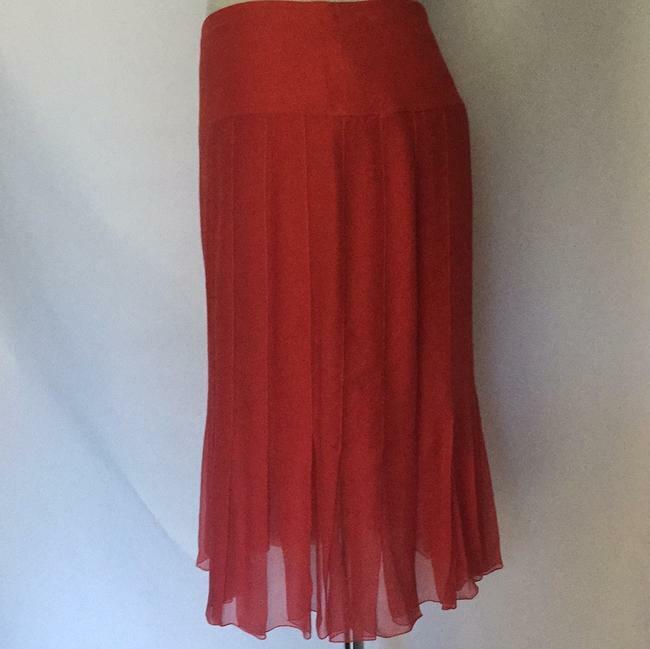 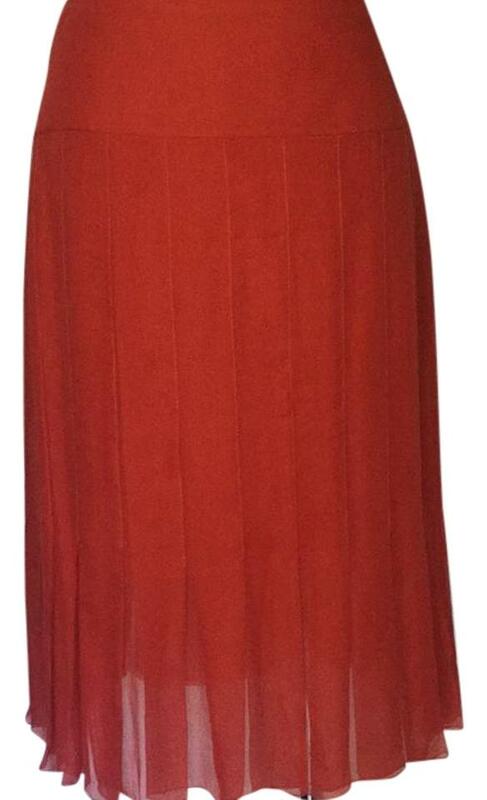 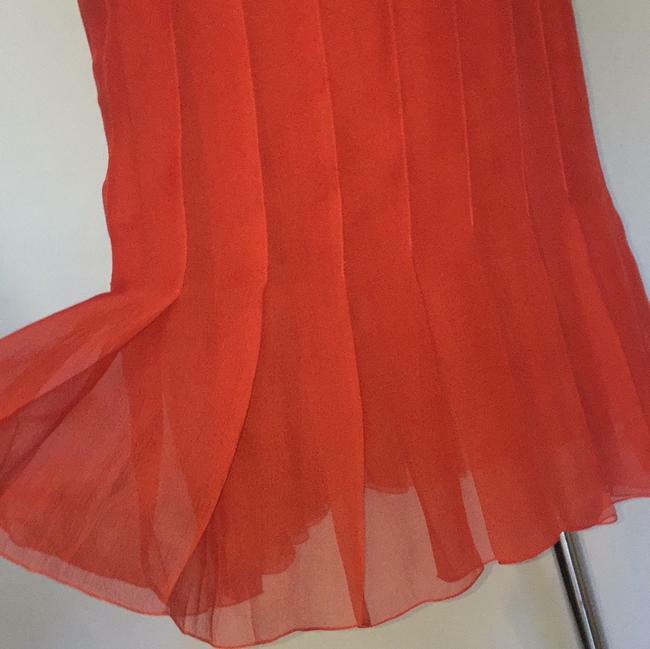 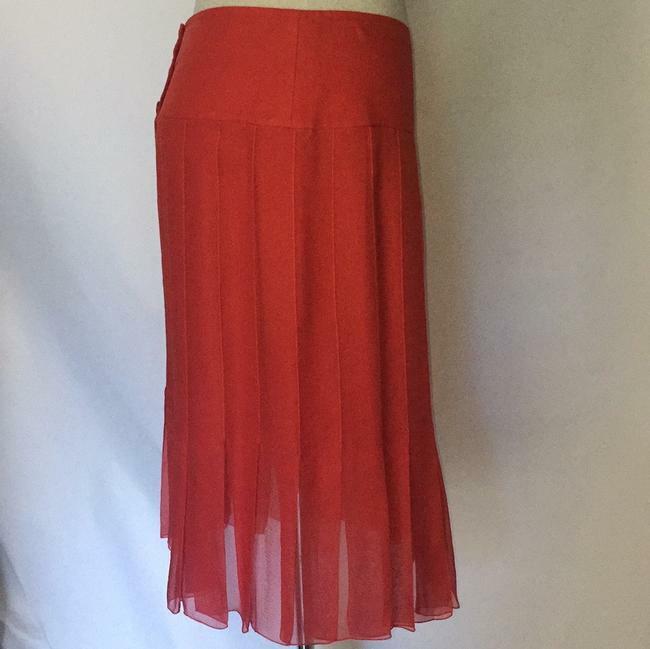 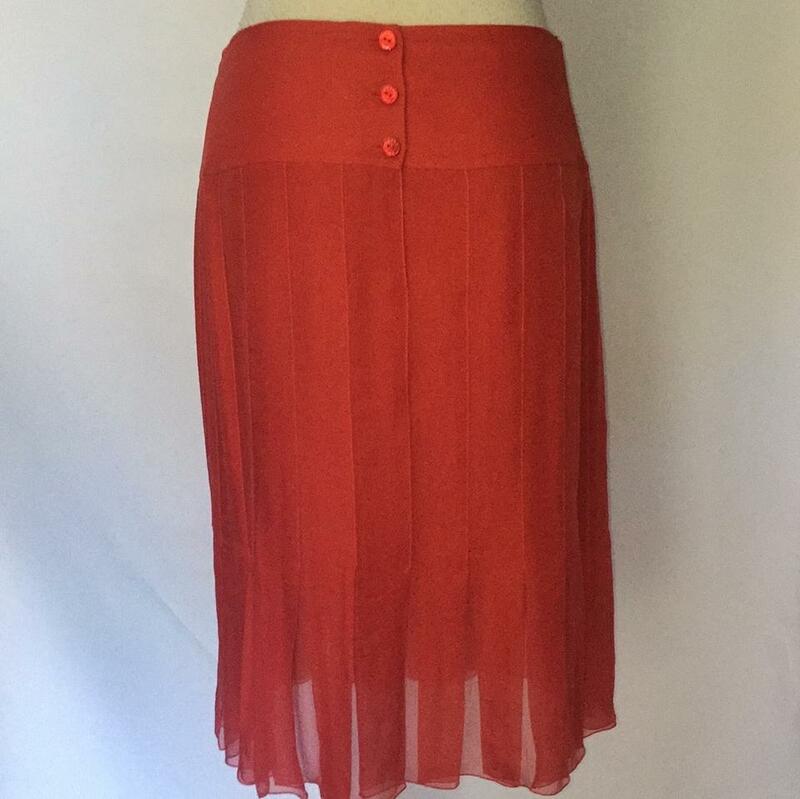 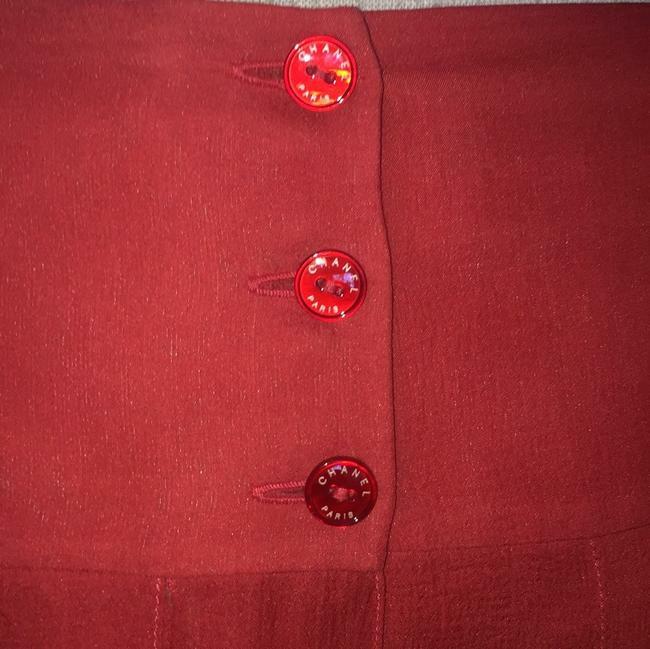 You are looking at a Chanel coral silk pleated skirt made in France. It is smokefree & in excellent gently-worn condition. 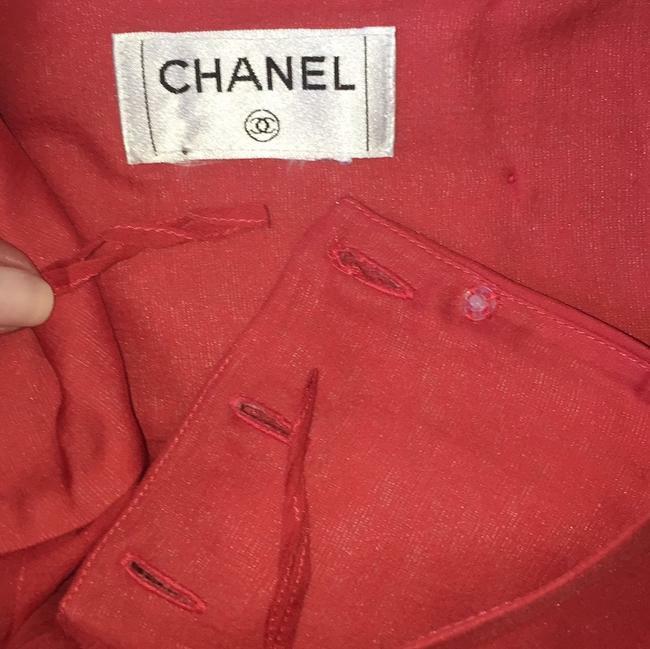 The size label has been removed but the matching vest+jkt were both size FR36, a US 4 or S may also fit.